This new listing in a prestigious Lower Mission neighborhood is ready to welcome your family. Spend your summers in the sun-filled saltwater pool and your winters enjoying the mountain views from this spacious, traditional home. Plenty of room for family and entertaining both inside and out: The Brazilian hardwood and tile floors cover 4 bedrooms and 2.5 bathrooms. A large bonus room over the garage gives you even more room to stretch out. The fourth bedroom on the main floor would make for a generous den. 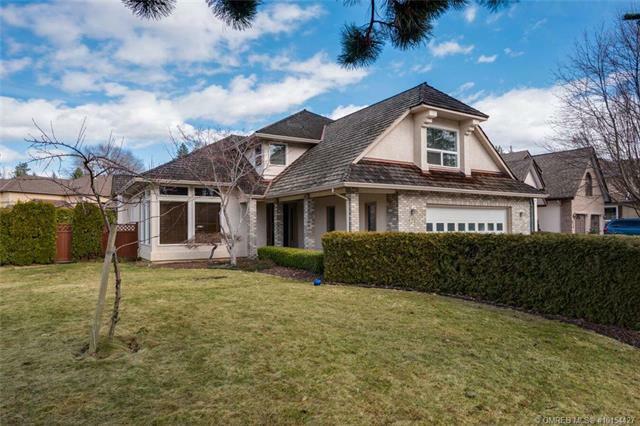 Located walking distance from Okanagan Lake, schools, recreation & shopping – this exceptional home offers everything a family needs. If it sounds like the kind of home you’re looking for, let me arrange a tour. Call me at 250.718.1786 to arrange a time.